One of the great things about living in Las Vegas is that there’s no shortage of fun things to do. Far from being exclusively about casinos and Elvis impersonators, this vibrant city features something for everyone to enjoy. If you’re ever here on vacation, here are a few places that I personally recommend. Although a trip to Vegas can get rather costly, it’s totally worth it. The food here is delectable and you won’t find a better meal or atmosphere. When I eat out, my meal of choice is a steak and some fine red wine, and the options are limitless. SW Steakhouse features a spectacular water show right near your table. Tom Colucchio’s Craftsteak in the MGM boasts a prize-winning wine selection and more than 200 brands of Scotch and Bourbon. If you’re looking to spend less, try the Fiamma Trattoria and Bar in the MGM. This Italian venue offers succulent options at fair prices. 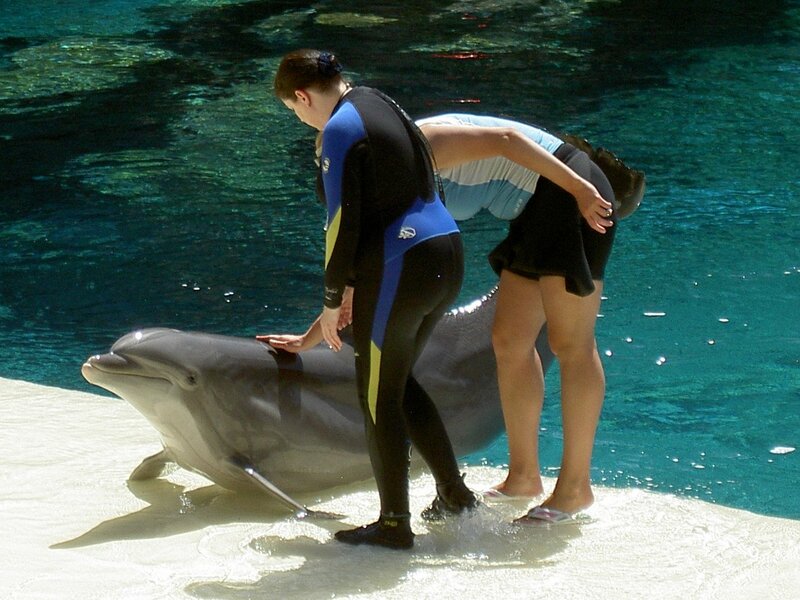 Take advantage of the Mirage’s Dolphin Trainer for a Day activity. You’ll get to spend the day at Siegfried & Roy’s Secret Garden and Dolphin Habitat interacting with these majestic creatures. A dolphin expert will work closely with you, as you get up close and personal with a group of bottlenose dolphins. It’s a thrilling and unique way to get your marine biologist on! Fans of the show CSI will love this activity at the MGM Grand Hotel. Nothing else can make you feel like you’re in the show than solving your very own crime. When you arrive on the scene of the crime, you’ll have to make observations and note details in order to solve the mystery. As things progress, you’ll notice that not everything is so simple. Best of all, everything is designed to be as realistic as possible. Seeing the Las Vegas Strip from the air is exhilarating. Enjoying the view from up high lets you truly appreciate this thriving oasis in a vast desert. In VIP fashion, your pilot, who will then explain what you can expect, will greet you. After the tour, you can even pose for a photo with your pilot! During the tour, your pilot narrates everything, and they will also answer your questions. You’ll also be able to communicate with everyone on the helicopter at once by using the voice-operated headsets provided. Furthermore, you’ll get to witness a breathtaking view, no matter where you’re sitting on the aircraft. When my family and I take one of these tours, the kids always have such a wonderful time. Las Vegas is truly a unique place with so much to see and do. The city also isn’t short on hotels either on the strip or off. Sites like Gogobot make it easy to read user reviews and find additional tips and tricks. Before The Rat Pack crooned to crowds and themed hotels broke the desert skyline, gamblers, outlaws and opportunists were raising ruckus in the Wild West town of Deadwood, South Dakota. The discovery of gold in 1876 changed this outpost into a bustling city that promised riches to the lucky and daring. 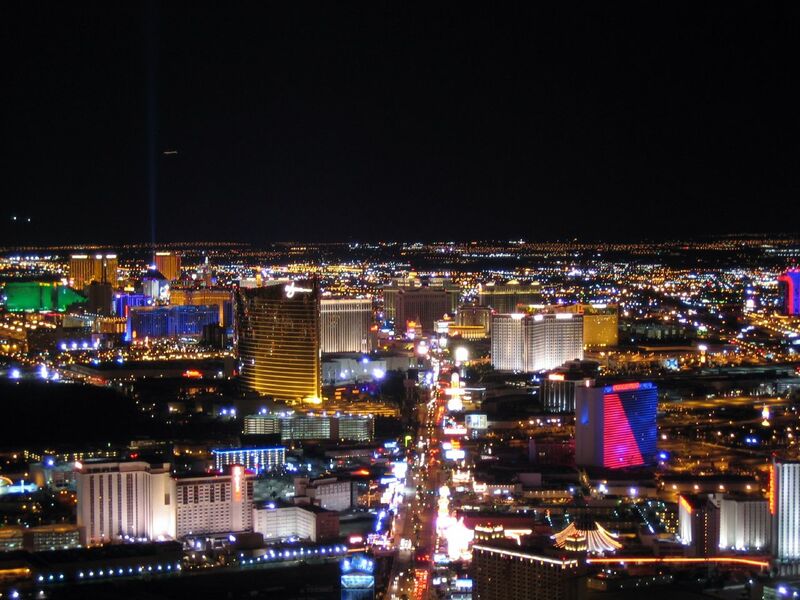 Though its lights no longer shine as brightly as Vegas, they still twinkle with a hint of that old mischievous mineral wealth. Next time you pass through these parts, try a few of my favorite experiences. Wild Bill Hickok, a gun-slinging sheriff and folk hero, is one of the most well-known figures of the west. He spent his final years policing the streets of Deadwood, until a vengeful miner shot him during a game of poker. As the story goes, Hickok never played with his back to the door; but, distracted by his winning hand, failed to notice the gun barrel behind him. To this day, the aces and eights he held are called “Dead Man’s Hand.” Now, you can step into this historic gaming hall to see the chair he died in, and play a hand of your own. Founded by an eclectic collection of immigrants and local entrepreneurs, Deadwood’s current eating options reflect its diversity. While family-operated venues like the Howlin’ Hog Diner offer hearty steak-and-potatoes fare, you can also find homemade Mexican tamales, sweet and sour pork in old Chinatown, and Native American fry bread tacos. Local wildlife – buffalo, venison and pheasant – feature on most menus. For a bite of fine dining, make a reservation at Jake’s. Owned by actor Kevin Costner, the restaurant is filled with set pieces from Dances with Wolves, which was filmed in the region. Deadwood is a National Historic Landmark. A portion of all revenue from the many casinos and slot machines is set aside for preservation, meaning even the cobblestones under your feet have been here since Calamity Jane and Seth Bullock strolled down them in the 1880s. These days, you can be part of the living history by witnessing a reenactment of Wild Bill Hickok’s death, a shoot-out between desperadoes, and the trial of Hickok’s murderer, Jack McCall. Street shows are free to the public and held on Main Street throughout the day. Nothing says “Welcome to the West” better than tickets to a rodeo. 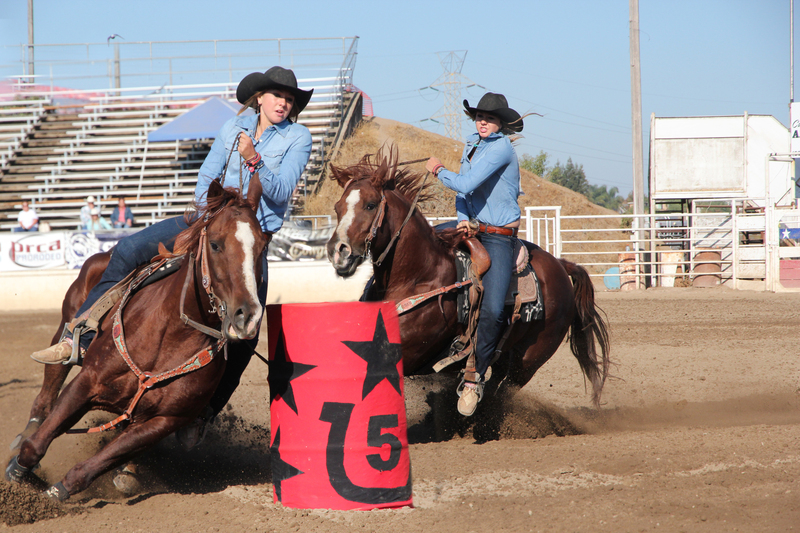 While regional and state competitions take place here year round, the biggest bronco show in town happens each July. The Days of ’76, which commemorates the golden discovery that brought Deadwood to life, is a rowdy occasion with parades, parties, steer roping and a lot of patriotism. Trust this native – it’s as down-home as you can get! But even out-of-towners will find something to smile at during the week-long celebration. Deadwood is truly a scene pulled from history, with enough glitz and risky business to entertain everyone. Events go on throughout the year, so keep an eye on the local calendar to find your perfect visiting season.